The casino offers everything a player requires to have a good time. If you have not registered, quickly do so. 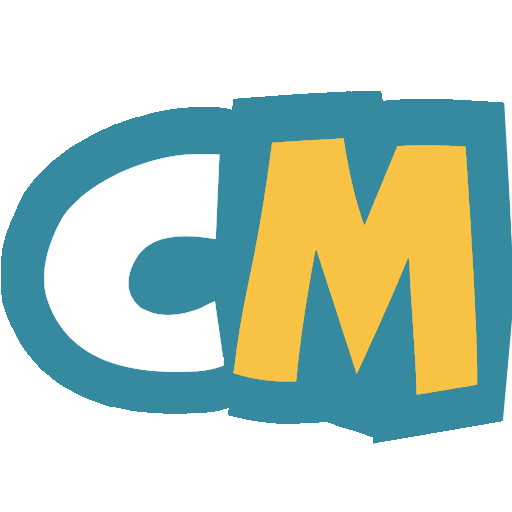 Visit the site and get to experience what others are already experiencing; a phenomenal gaming platform. This state of the art online casino was established in 2007. Once you visit the site you will be greeted by the sight of a beautiful lady who is smartly dressed and has a very charming smile. Quite appealing I might add. It is evident that the casino has been in the industry for quite some time now and that is why they have a platform that is tailor made for the gamers. Digging a little deeper, the casino is a subsidiary of platinum gaming limited and it is licensed and regulate under the laws of Malta Gaming Authority and UK Gambling Commission. Maria casino has been in the industry long enough to understand what gamers want and need. The sleek casino features a huge collection of game. Its library is filled with the most rollicking, up to date games. Some of these games are featured from popular movie and series titles such as The Dark Knight, Troll Hunters as well as Immortal Romance. Maria casino has a team of well-trained personnel who are equipped to handle any casino related questions. The support team is available on live chat, email as well as on phone. Therefore, players should know that they are in safe hands while wagering on the casino. The platform is safe and secure plus all games are tested and proven to be fair. There are no cheats on this platform. To access the platform you must by 18 years and above. There are certain realms that are not allowed to participate on this platform they include Spain, Yemen, United States, Kuwait, and Turkey. If you belong to any of these prohibited countries, then that is unfortunate. However, players from a host of countries across the world can easily wager on the casino and enjoy some of their favorite games. Maria casino understands the advantages that come along with using multiple access platforms. The casino can be accessed online as well as on any mobile device. 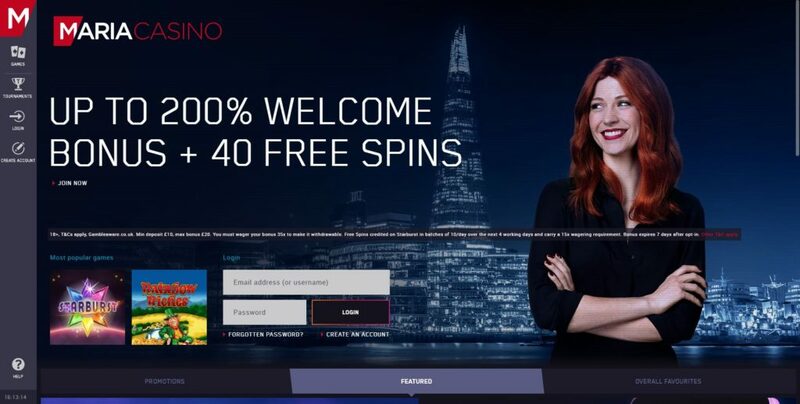 The sleek online casino does not just have an appealing front but also has some of the most swatching and funky fresh games which are just impressive. 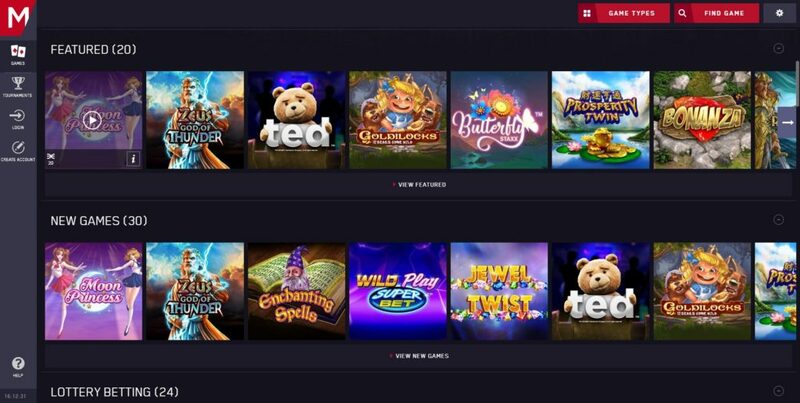 To access the gaming platform just click on ‘Games’ and choose the huge selection of games including Video poker, Table games, slots , and get pulled into the realistic live casino platform. Maria casino has some on fleek slots games which I am sure slots lovers will enjoy. 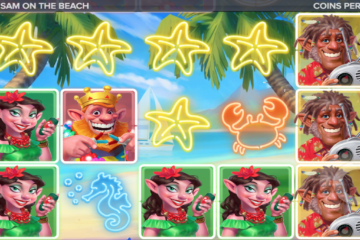 The slots section has different categories including Classic slots, jackpot slots, as well as exclusive slots. Enjoy over 300 selection of slots including Tower Quest, Jack and the Beanstalk, Starburst and Rainbow Riches. Players can also immerse themselves in the 67 table and cards games including Roulette, Money Wheel, Blackjack, and also Caribbean Stud. This gaming section is steaming hot. There is also a section for Video poker games featuring games like Jacks or Better, Joker Wild, All Americans and Deuces wild. This gaming platform is on fire and it make players have a tough time choosing from the collection. Additionally, the casino also has a section specially set aside for Bingo players as well as Lottery lovers. 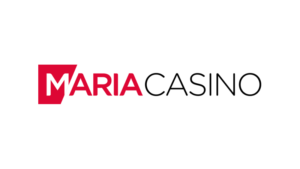 Maria online casino works with software and gaming giants like Evolution Gaming, IGT, Quickspin, NetEnt, and Microgaming. The platform understands the need of giving back that is why they came up with some of the most astonishing and pimping hot offers. Maria casino bonus and promotion platform offers 200% welcome bonus and an additional 40 free spins. Other offers include live casino tournament, Bingo scratch cards, as well as Free Bingo for new players. Players can use the following banking options: ClickandBuy, MasterCard, Neteller, ewire, Visa, Skrill, Diners Club International, and iDEAL. Additionally, players can use Bank Wire Transfer, Neteller, Visa and Skrill to make withdrawals. This platform also supports various currencies including Croatian kunas, Euros, British pounds sterling, Swiss francs, and Denmark kroner. This casino has wide varieties of games which are proven fair by TST and eCogra. The customer support is available 24/7. Thus, if and when players have burning questions the team is readily available for them. Additionally, the casino uses SSL encryption which provides players with a safe and reliable platform.